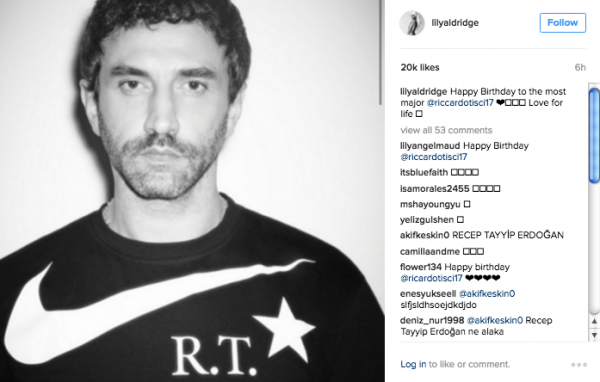 Happy birthday, Riccardo Tisci! 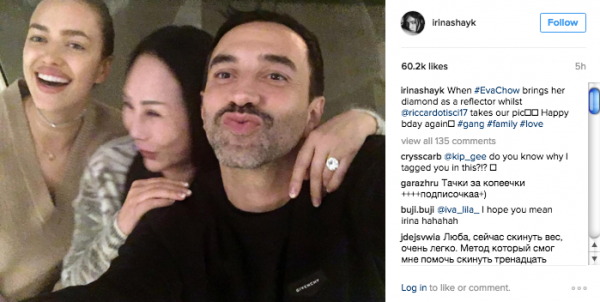 The Givenchy artistic director has received lots of love from some of our favorite top models via Instagram, which is basically a birthday card 2.0. 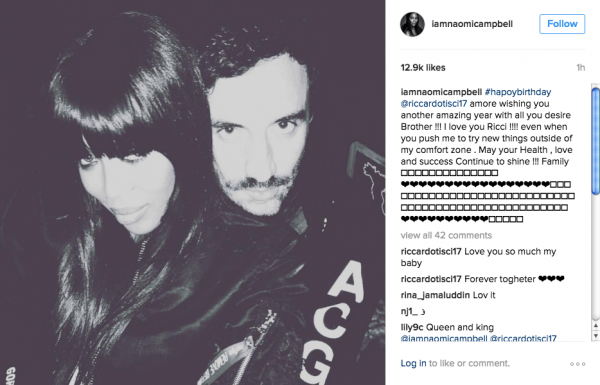 The list includes Naomi Campbell, Lily Aldridge, Bella Hadid, Irina Shayk, and Joan Smalls, all of whom are pretty smitten by the designer, based on the photos and their adorable captions. 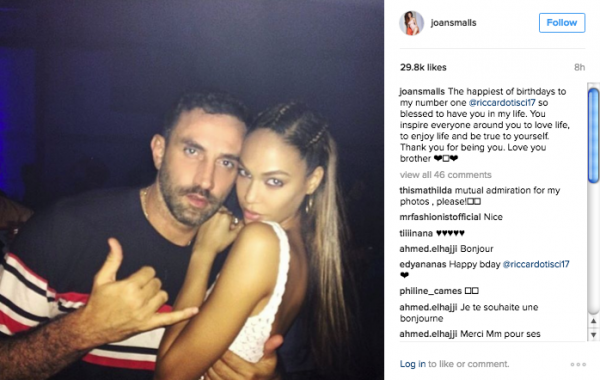 In 2014, Tisci rang in 40 big time with a celebration in Ibiza that had no shortage of big names in attendance. Kanye West gave a surprise performance, Kate Moss and Naomi gave a “Happy Birthday” serenade, and Justin Bieber and the Kardashian/Jenner family were there, too. Tisci might not be celebrating a new decade this year, but we have no doubt he’ll do something fabulous. Enjoy the day, love! The Daily Roundup: Raf Simons Officially at Calvin Klein, Was Rachel Roy Hacked by the Beyhive?